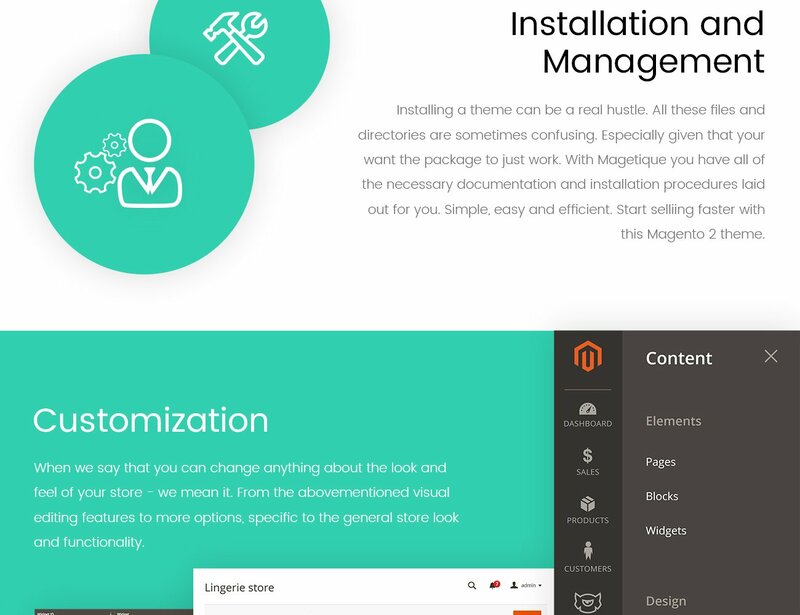 Magetique embraces all of our design and technical knowledge, which translates into the most advanced Magento 2 experience. 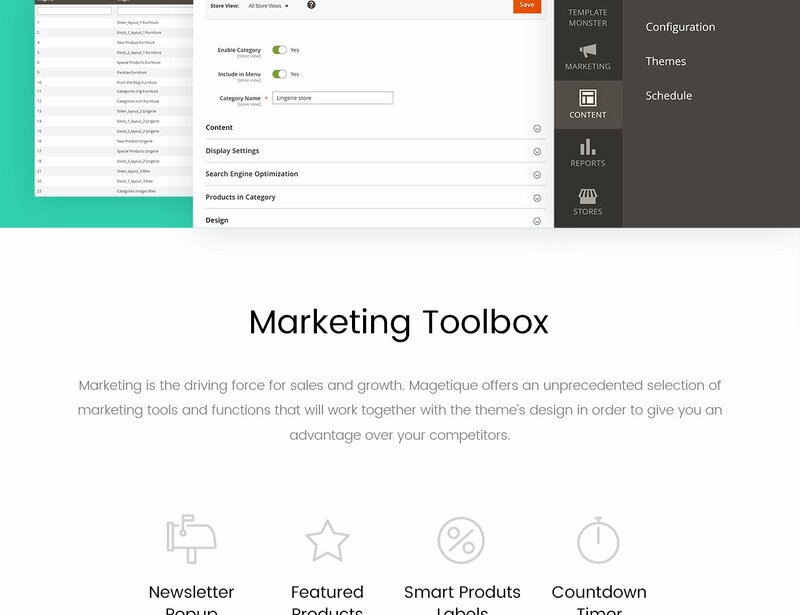 It includes a myriad of marketing, design and administration tools. 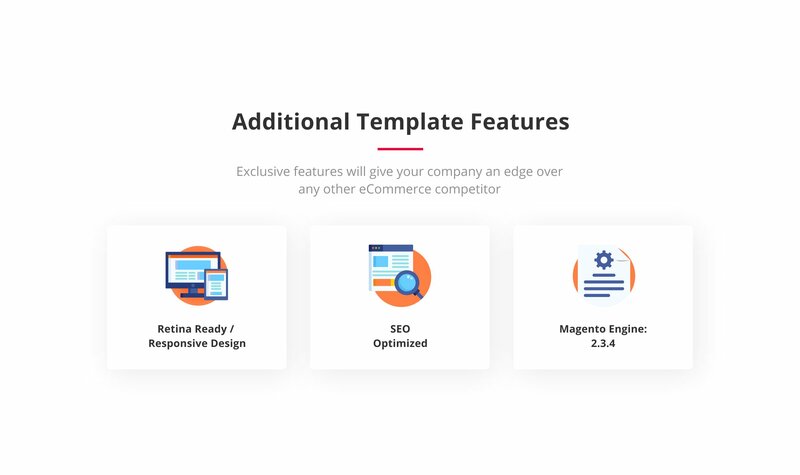 No other theme on the market offers this much functionality right off the bat - you're getting over 20 extensions that facilitate your business needs. From simple upsell modules, like Smart Product Labels and Featured Products, to advanced design functions, like Parallax & Background Video. Easily edit pages, page blocks and various on-screen elements to provide a tailored shopping experience for your clients. You don't need any CSS knowledge or programming skills to do that. You get all of this eCommerce goodness for free. The package includes 5 layouts that were carefully crafted to fit a variety of niches. They are easily installed and managed with an intuitive interface and detailed documentation. A plethora of editing features, like custom footer and header layouts, offer simple re-design options that will keep your store fresh and appealing. All of this is tucked into a package that runs smoothly on any device - optimized for the ever-growing hordes of mobile shoppers. The high GTMetrix and Google's Page Speed scores come as a cherry on top. The template may be powerful but it crashed on a fresh 2.3 installation with full page cache enabled and support couldn&rsquo;t provide basic info on how to install just part of the theme (eg the furniture version). The theme looks great and has tons of customizable options. 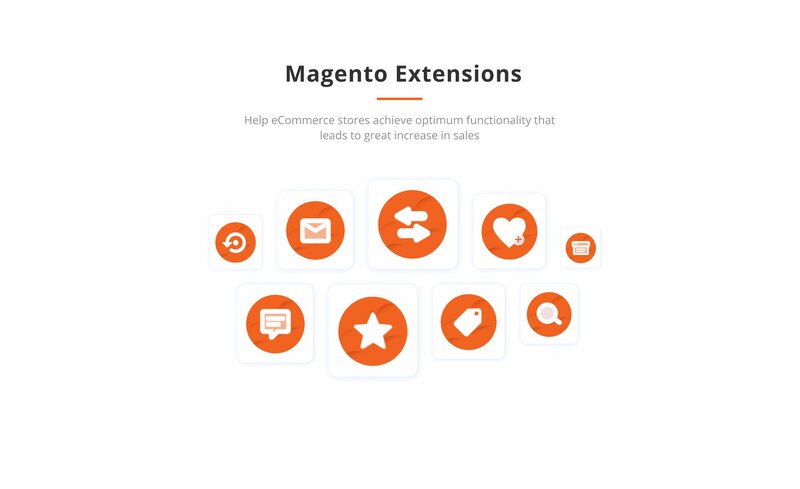 It is not compatible with the latest versions of Magento however. This page claims 2.2.6 is the latest supported version. We are unable to update to Magento 2.3 with this theme and included extensions. Regular updates would give this theme 5 stars easy. 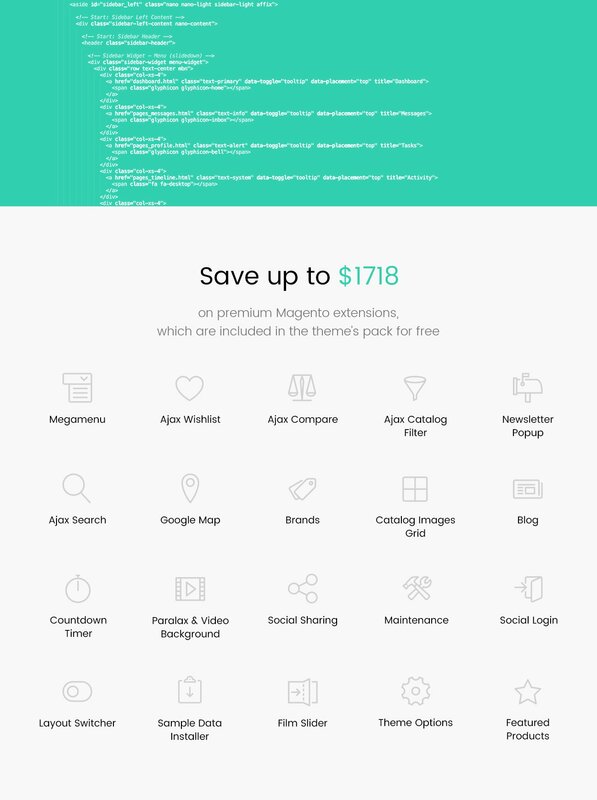 This is one of the best themes I ever work with for any CMS that I know. Good template. Well designed but may require support to install it properly. 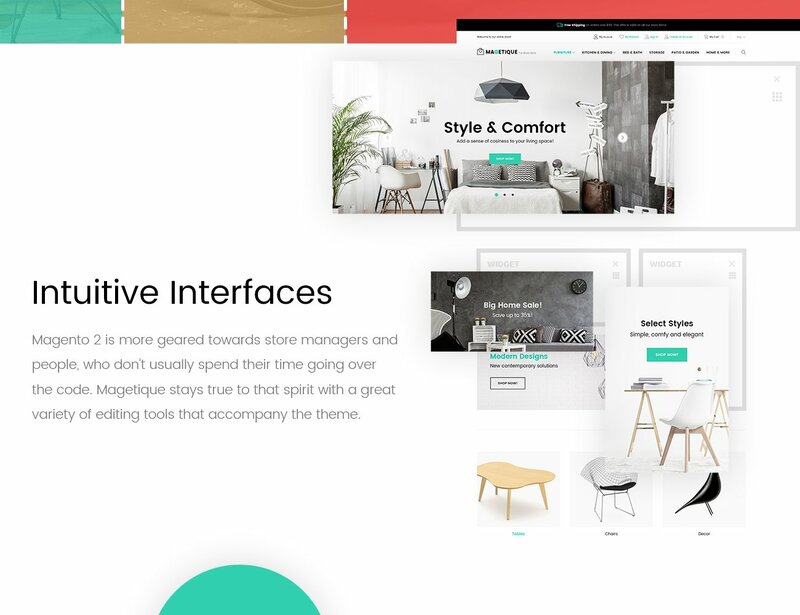 Despite not offering as many individual demos as some other offerings, this theme&#039;s more focused approach by creating designs specifically for various industries is very practical. 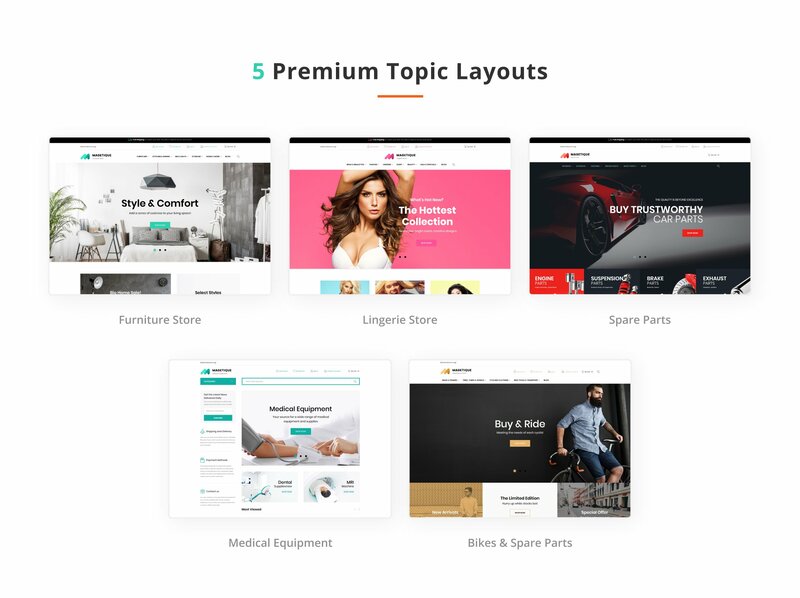 Not only that, but hidden within each demo is a multitude of different layouts and customizable components that provides more flexibility than meets the eye. 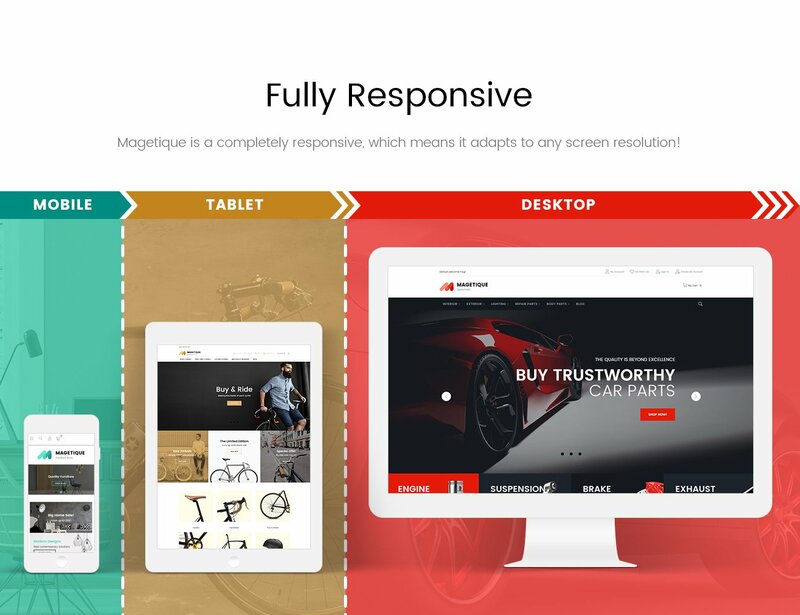 Magetique is also created with better quality control than most other themes, of which lack either consistent support or stability. A must buy. Is your update limited to 2 years? No lifetime updates provided?? When will this support Magento 2.2.2 or even 2.1.11? I am based in Australia and require the currency to set in AUD. Is there any way to make this available? Also what is the current loading page speed and what&amp;#x27;s the difference in speed if I was to purchase the Speed Booster? Is this theme compatible with Magento Enterprise? I have Megento 2.1.5 installed and have purchased this theme, can i install this theme after i have loaded all my data in Megento with the default theme? Does installing the theme affect the data what so ever? Second part to the question if i need help with the install who can i contact? Can I use 5 themes at a time? Or do I need to use themes one at a time? I can see in the demo that you have several styles for header, home page, product page, footer, etc. Is it possible to create my own styles in addition to the ones provided? 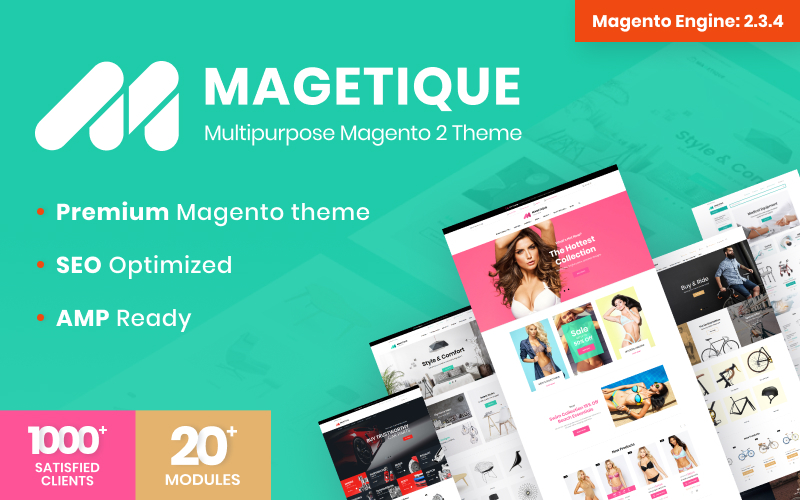 I&amp;#x27;m looking at the Magetique theme for Magento 2.x - which is a theme developed by Templatemonster. 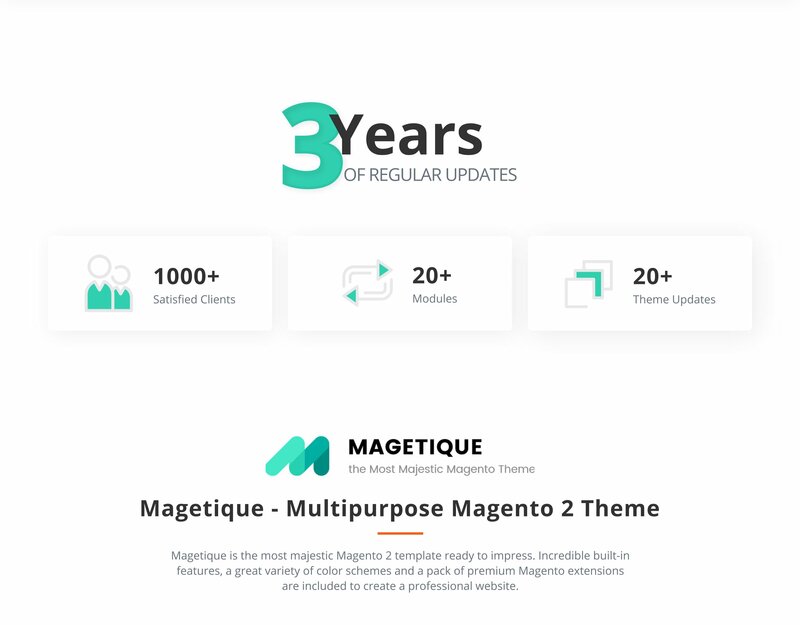 Will this theme continue to be updated for future versions of Magento? 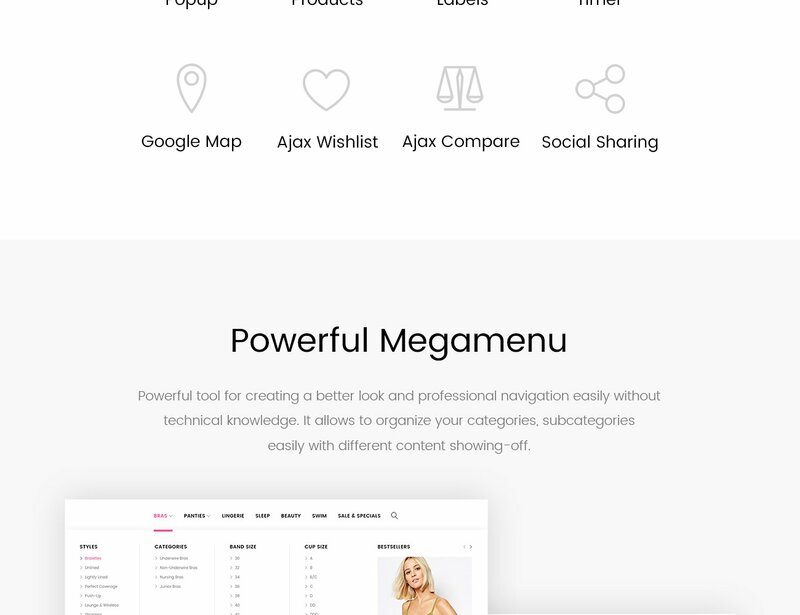 Let&amp;#x27;s say there is a Magento 3.x a year or two down the line for an example - could I expect to be able to upgrade this theme relatively painlessly, instead of having to look for something else? I brought the template at around Dec 2017. Will I able to get the latest download for 2.1.5? Also, after follow theme installation, I cannot find the Store -&amp;gt; Configuration -&amp;gt; Templatemonster-&amp;gt; Layout switcher.